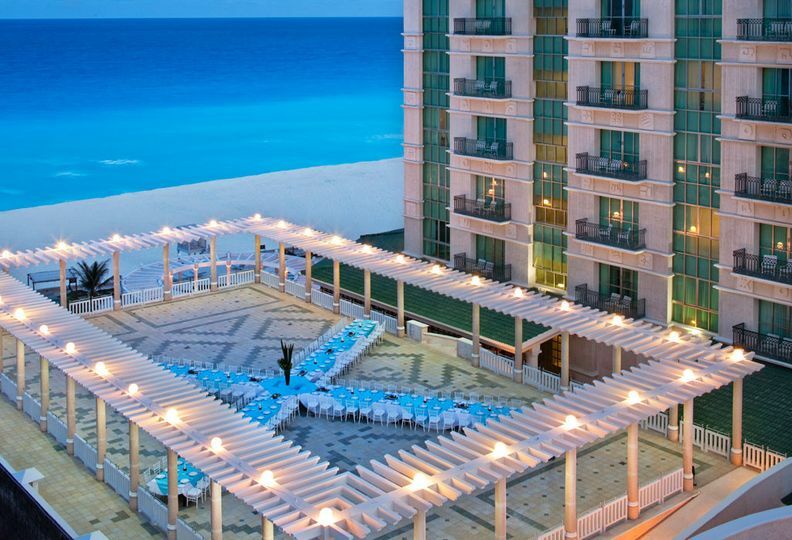 Sandos Cancun Lifestyle Resort is an all-inclusive beach wedding venue located in Cancun, Mexico. 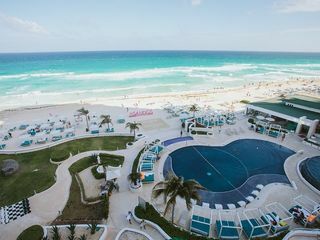 You and your guests can enjoy luxury suites, gourmet cuisine, and many modern amenities with the stunning white sand and ocean beach as your backdrop for an unforgettable experience. Their professional staff take care of every detail and bring your vision to life. 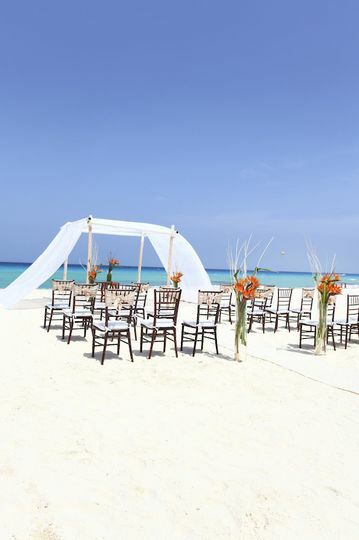 Sandos Cancun Lifestyle Resort offers many outdoor venue options for a beautiful ceremony and reception. 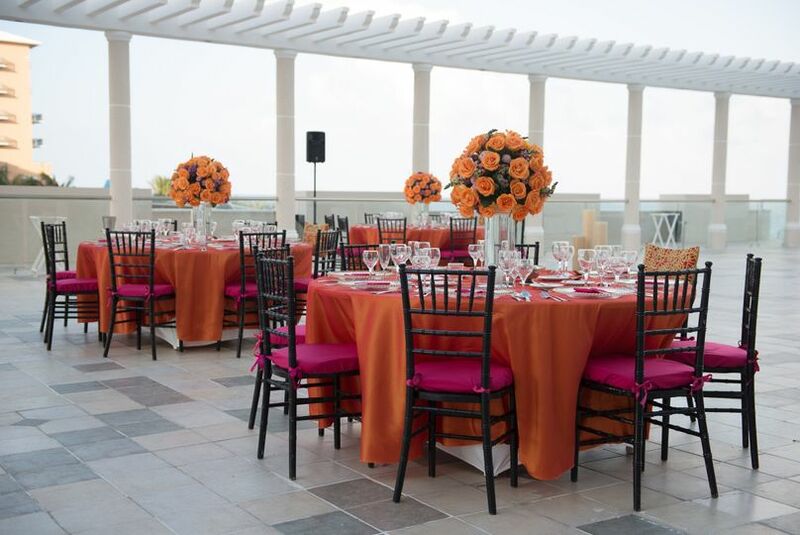 Their Martinière rooftop terrace features jaw-dropping views of the bright blue Caribbean Sea, while their beautiful white sand beach offers a tropical setting with soft waves crashing in the background. 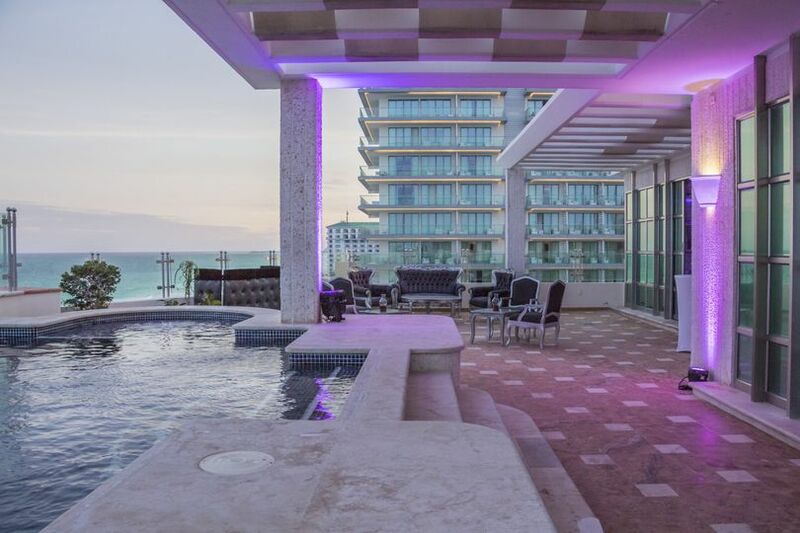 Inside, their elegant Penthouse looks out over Cancun's stunning hotel zone and the Caribbean ocean. 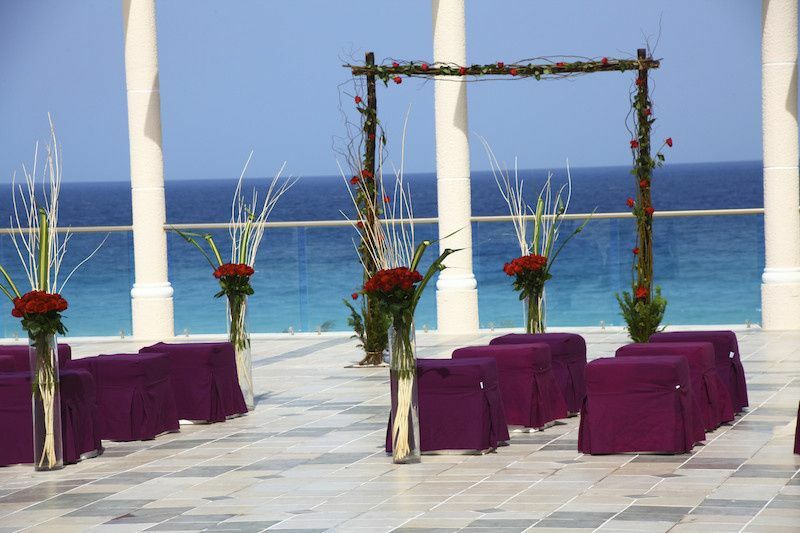 The venue can accommodate weddings of up to 300 guests. Sandos Cancun Lifestyle Resort offers luxurious guest rooms and suites for you and your guests to enjoy. These comfortable rooms boast breathtaking views of the Caribbean Sea and Nichupte Lagoon. 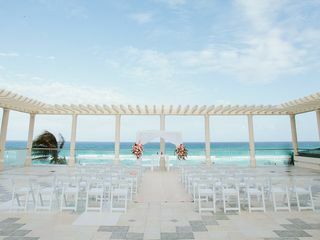 I recently had my wedding on February 23, 2019 at Sandos Cancun Lifestyle Resort and our experience was nothing but amazing! The hotel manager, Benjamin and our Wedding Coordinator, Diana were extremely helpful, accommodating, and responsive. This boutique style, all-inclusive resort was perfect for our 50 guests and everyone has an absolute BLAST! 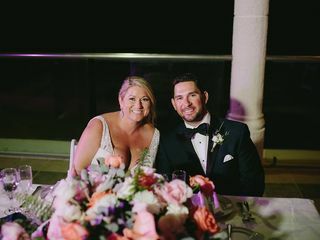 From the Thursday happy hour, Friday Rehearsal Dinner at St. Trop by the beautiful ocean to our wedding on the terrace, everything was more than we ever expected. I highly recommend this resort, especially if you are planning a wedding and would like a terrace as your venue. 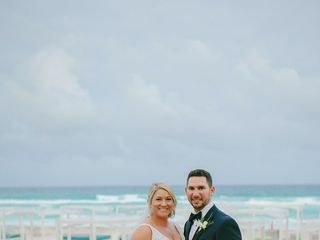 My husband and I got married at Sandos Cancun on September 1st, 2018. Prior to our wedding, we visited the resort in August 2017, we fell in love and decided we would get married here the following year. Both of our visits and our wedding were absolutely amazing and perfect. The staff at Sandos Cancun is extremely attentive and courteous. 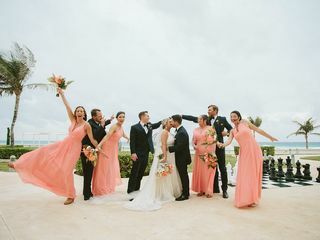 Our wedding coordinator Valeria and her whole team went above and beyond to ensure our wedding was exactly what we had envisioned and dreamed of. Valeria was very attentive to detail, easy to communicate with, prompt to respond to emails/requests, and extremely caring and sweet, she was the best wedding coordinator ever! I can truly say she loves and enjoys what she does. 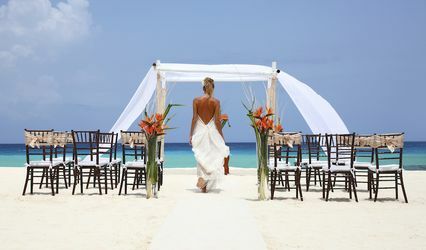 During our week stay at Sandos Cancun (the week of our wedding), we truly received the royal treatment. Each day we would receive surprises/treats in our room, the day of our wedding we had food and champagne delivered to our room while getting ready, the night of the wedding we came to our room to find a "just married" sign across our door as well as chocolate covered strawberries with champagne and rose petals all over the bed and room floor, it was a magical night to say the least. The following morning we had an amazing breakfast in bed, followed by a couples massage. Our massage therapists were great, and the message, well - best massage I've ever had!! We also had a romantic dinner the following night and it was delicious, they had a surprise meal for us outside of the regular food they serve on the menu accompanied by a surprise cocktail. The wedding was exceptional as I mentioned before. The entertainment team, DJ, and our MC Emmanuel had our guests dancing the whole night long. The table settings were beautifully put together, dinner was succulent, and our wedding cake was to die for - so was my bouquet. 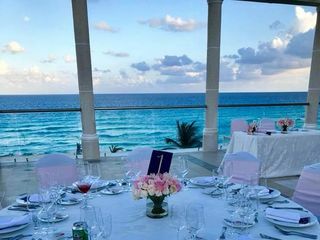 Honestly, I recommend Sandos Cancun to anyone looking to have a perfect wedding at a great price at a beautiful location. We got married here on March 3rd and it was an amazing trip. We had 40 people coming to the wedding and it was a small enough resort that we could always find each other. The food options were all great and very available. Our wedding coordinator was Kiani and we couldn't have asked for anyone better. She came in late due to unforeseen circumstances and was a rockstar from the first second. She put our minds at ease and took care of any concern we had before we knew what that concern was. She returned our emails very quickly and was very responsive. 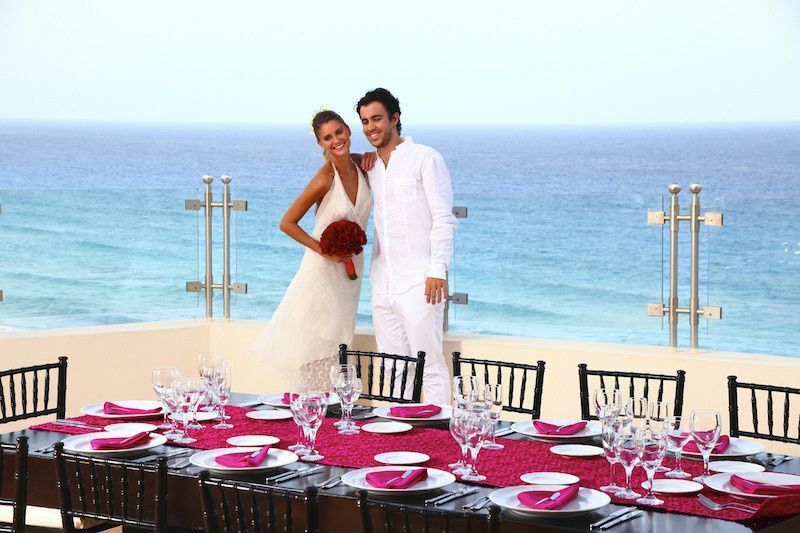 We would highly recommend her as a wedding coordinator for any wedding getting planned at the Sandos resorts. All of our guests loved the resort as well and continue to talk about it. They were all taken care of extremely well and treated with great respect, as we imagine every guest of the resort is. 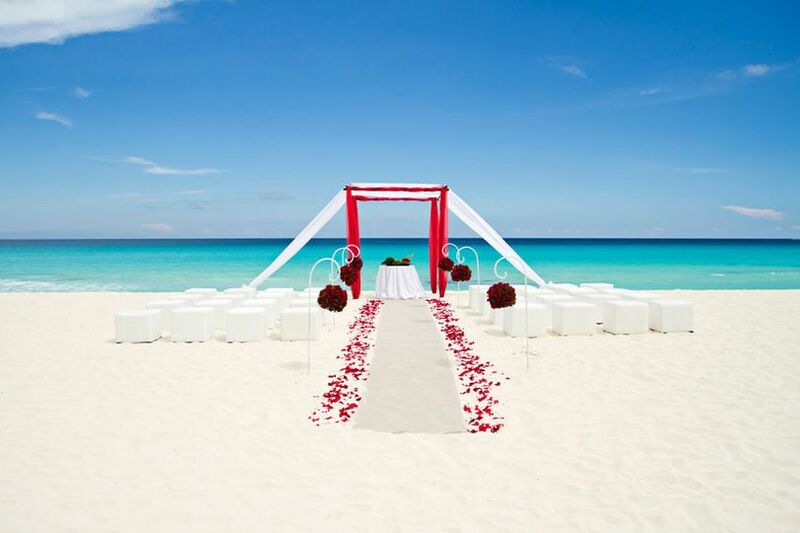 For limited time only: up to USD 3000 off your wedding! 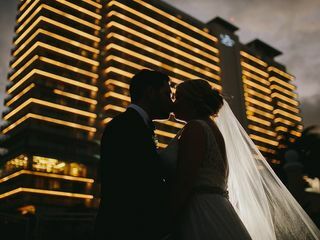 Get married by Dec. 21, 2019 and receive USD 1,000 discount off your wedding package when booking 9 rooms for 5 nights (or 45-89 room nights), Receive USD 2,000 discount off your wedding package when booking 18 rooms for 5 nights (or 90-179 room nights), Receive USD 3,000 discount off your wedding package when booking 36 rooms for 5 nights (or 180 room nights), not combinable with other wedding promotions, applies to new wedding bookings only.